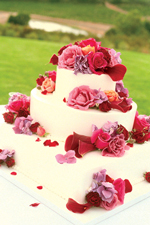 Creative Cakes are wedding cake specialists based in Dublin. Wedding Cake designs are the main passion at Creative Cakes, creating unique and custom cakes that will be sure to take your breath away. From big to small wedding cakes, individual cakes to personalised cupcakes, Creative cakes cater for each and every wedding couple. At Creative Cakes each cake is custom designed to reflect personal preferences and style, making each cake uniquely its own. Each cake is an individual work of art and breathtaking beauty and whether it is romantic, classical, elegant or whimsical it is guaranteed to enjoy its pride of place as the centrepiece to any gathering. Michael has created and developed numerous gourmet cake recipes and he insists on baking all cakes fresh to order using only the finest quality ingredients. 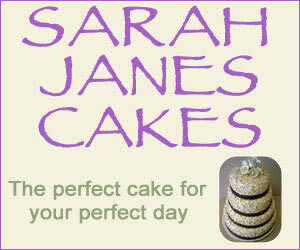 Creative Cakes also offers a private consultation and tasting. At the consultation we will discuss all facets of the wedding, from invitations, colours and flowers through to the dress fabric and design, Personal preferences and desires are taken into account when creating the perfect cake to complement your special occasion. You will also be able to peruse the extensive portfolio, view the range of spectacular cakes on show and taste our mouthwatering cakes. 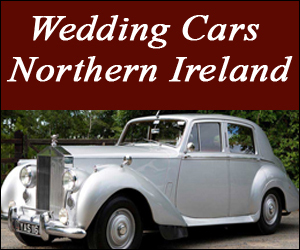 Please telephone us to arrange an appointment at 087-7638300.